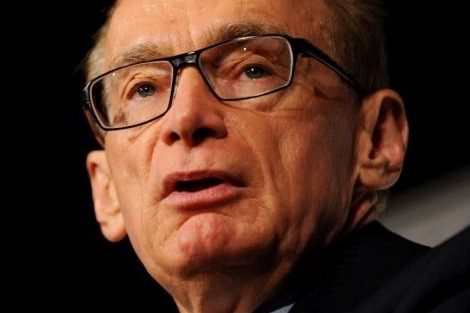 Senator Bob Carr's comments show a lack of understanding of the separation of powers, the rule of law and the refugee assessment process in Australia. In the early 1990s, similar comments were made by Bob Hawke about the Cambodians who were seeking asylum. Hawke was rightly criticised for prejudging the cases. At the time Australia was promoting settlement of the long running conflict in Cambodia, and the last thing the Hawke Government needed was its plan ruined by Cambodians fleeing the very country that they were encouraging people to return to. The Cambodians became part of the political game and were eventually resettled in Australia provided they return to Cambodia for 12 months. This farcical 1990s solution has now been trumped by the 2012 'no advantage test' which places asylum seekers in some mythical queue. It is remarkable that, when confronted with the fact that the numbers of people meeting the refugee criteria are high, Carr's solution is to change the rules. His views have been challenged by those informed of the legal issues, such as the Human Right Commissioner, several prominent academics and a former principal member of the RRT. All challenge Carr's assumptions. Motivation for fleeing may be mixed, and political, economic and religious factors can easily interact. Refugee status determination is thus a complex process. But the criteria to meet the requirements for a protection visa are strict. Eligibility to apply for a protection visa alone involves a number of sections of the Migration Act. Simply being from a majority ethnic or religious group does not preclude someone from being a refugee. Refugee status can be about protecting a person from persecution for their dissident ideas, such as a political claim from someone in Iran. It may be about protecting someone who is from a religious or ethnic minority which is targeted by extremist views, such as the Hazaras in Afghanistan or Pakistan. The merits review process is thorough and by no means easy. Decision makers take their role seriously and are not a soft touch. Most cases turn on credibility, which is usually established in two ways. First is a clear, consistent and detailed account from the applicant. This involves several interviews of applicants who mostly are unaware of the relevant legal criteria. Rarely do asylum seekers express their case in a nice chronological and objective manner. They need assistance is organising their experiences into a format which makes the identification of claims clear. Second, the claims need to be supported by country information. Sources of country information are varied, and should not be limited in an attempt to influence decision makers. The situation on the ground can be fluid, such as in Syria. Advocates and decision makers need to research widely across reports from government departments such as the US State Department, UK Home Office and DFAT, and from non-government agencies such as Amnesty International, Human Rights Watch, Brookings Institute and numerous others. What confidence can applicants have in the independence of DFAT information when the Foreign Minister dismisses 20,000 cases as 'economic migrants' before any are actually interviewed about their claims for protection? As to criticism of the court and tribunals, no-one has been able to point to these 'wrong decisions'. The main High Court analysis of the refugee definition goes back to the 1989 case of Chan. The High Court set out the legal definition of 'well-founded fear', a key part of the refugee definition in that case that has not since been amended. 'Persecution' was also defined in the Chan case, but this was later defined in 2001 in s91R of the Migration Act. Again this definition has remained unchanged since 2001, so it would be interesting for Carr to tell us which of the decisions by the courts and tribunals are 'wrong'. The reality is that the tribunals are applying the laws as made by the Parliament, and the courts are interpreting those laws. This is how the separation of powers works and is the same process whether the laws are migration, tax, criminal or corporations. Carr demonised asylum seekers who use people smugglers by implying they are part of a 'criminal enterprise'. Simplistic grandstanding by politicians, whether it is the Coalition's 'turn back the boats' slogan or Carr's view that the process must be made harder, do not address the basic human rights issues underlying the process. Just because people are forced to pay bribes to get cross borders in safety does not mean they are being smuggled, they are doing it because they have to. And there is this trifling point that there can be no reservations ever made against Article 1 of the refugee convention which is the definition of the criteria for being accepted as a refugee. .
Keep at it, Kerry! You are doing some of the most important work there is... keeping Australia an ethically sound nation. I guess if the asylum seekers were white anglo Saxons all would be welcome with open arms why are people so hateful. their lives must be bleak at best. Yes, it's amazing how some politicians never let the rule of law get in the way of a good slogan (or policy) about refugees. If the implications of Carr's comments weren't so serious, I would have had a good chuckle about the courts and tribunals getting it 'wrong'. (Pollie speak for: 'didn't do what I would like them to do'). Unfortunately, however, the minute the word 'wrong' is used by a pollie in relation to a court or tribunal decision on migration, a bill to alter the Migration Act will magically appear on the horizon! I found Julia Gillard's comments about the High Court, after it struck down the 'Malaysian solution', to be very offensive and not fitting the office of Prime Minister. But, I needn't have worried... the result of that comment was the appearance of yet another amendment to the Migration Act to immediately rectify the 'wrong'-headed old High Court, who are clearly all rather stupid and unable to interpret the Act (and wielding FAR too much power having not being elected etc). It's a shame that people don't understand the implications for all of us in this type of political interference with the separation of powers and rule of law. Thank you, Kerry, for injecting some sense (yet again). Congratulations for what you are doing for these people in need. Thank you. Most voters think that when they fill in a ballot paper they are choosing between the prime minister and the opposition leader. And the fact that they think this makes it so, regardless of the niceties of constitutional theory. The system Rudd is proposing would narrow the gap between voter perceptions and the power of parliamentary blocs to ignore them. 150 years ago the David McIver entered Hervey Bay carrying 404 immigrants, including my great great grandmother Annie. Some of the crew rowed to shore, where they were met and helped by two Aboriginal men. Who'd have thought that over a century later, one of Annie's great grandchildren would be a judge in the landmark Mabo native title case.